English translation of Romancing SaGa 2 on Vita is still in the works too! Square Enix has announced that a remastered version of Romancing SaGa 3 will be making its way to PS Vita and smartphones in Japan. 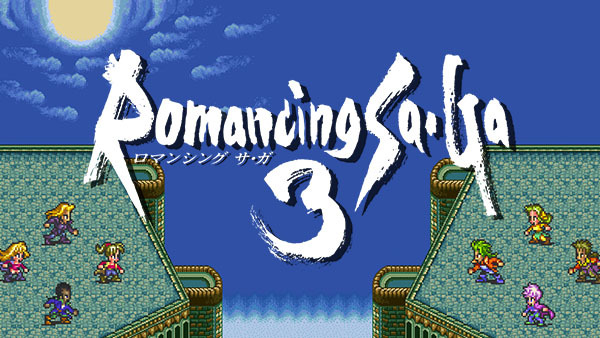 Romancing SaGa 3is the sixth title in the SaGa series, first released on the Super Famicom on November 11, 1995 and was most recently ported to the Wii U Virtual Console in Japan on February 26, 2014. This new remaster will feature renewed visuals for characters, menus, and backgrounds, as well as optimized controls for the various platforms. For fans waiting for word on the English PS Vita port of Romancing SaGa 2, series creator Akitoshi Kawazu stated that version is still in the works.